Eric is an Associate Professor who teaches environmental design history and landscape management at the University of Georgia. Beginning in 2011, Eric has helped coordinate the UGA Chew Crew. Since then, Eric has transformed the project from a small student-led venture to a campus-wide sustainability initiative. +The Chew Crew interns play an essential part in the project. They send out emails to our volunteer base, manage the social media accounts, attend all volunteer opportunities, and provide help with any other general needs we may have. Max is an Ecology/Plant Biology major at the University of Georgia. He is a student who has volunteered regularly for Chew Crew since the spring semester of 2018, and has proven to be a valuable member. Since then he has become the newest intern for this upcoming fall semester. Jocelyn is an Environmental Engineering student who has done great work during her time as an intern. 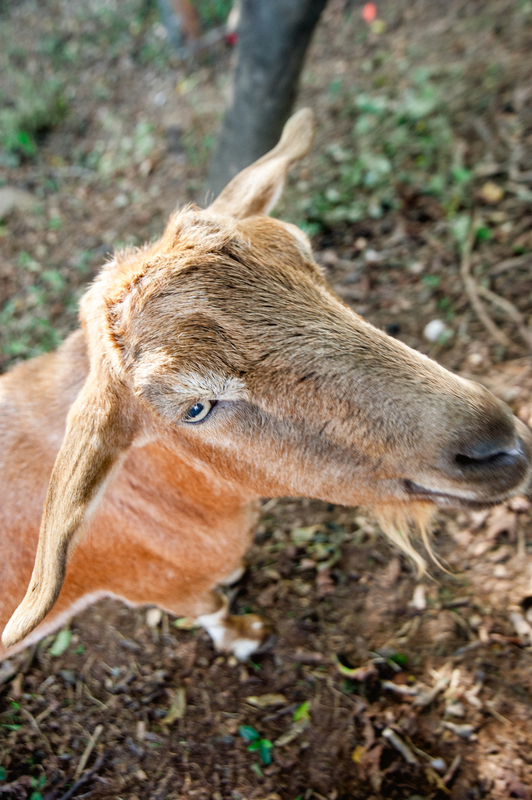 She began the year our goats moved away, and had a lot of responsibilities in their absence. Her work kept our projects moving and set the foundations necessary for the next in line. About: As herd leader, Junior is large and in charge. Junior’s favorite hobby is eating, eating, and more eating. 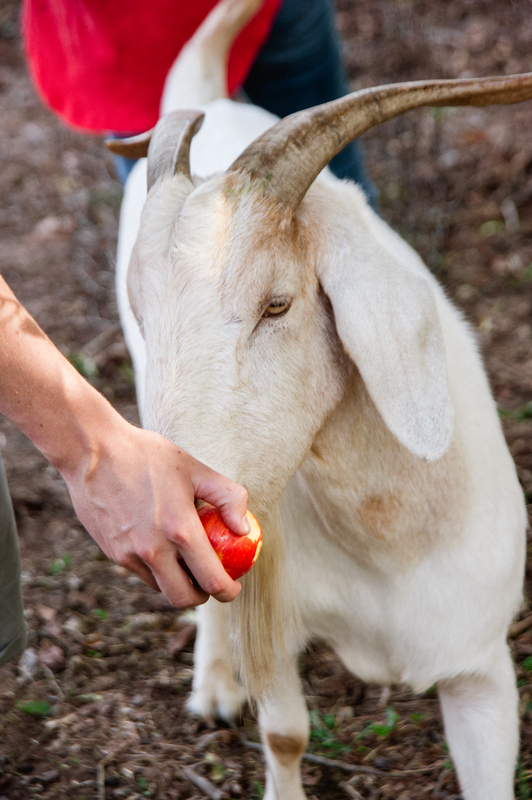 His favorite foods include kudzu, apples, and carrots—or really anything he can reach! If you are looking for loyal friend with a big appetite, then Junior is your go to guy! About: A little shy at first, Helga takes some warming up to. Once her friend, she will be loyal to the end. 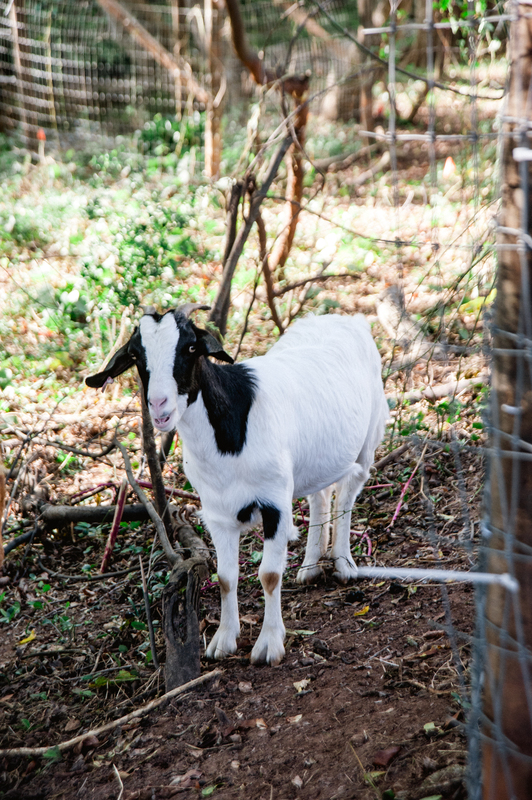 When she’s not eating English ivy and carrots brought from volunteers, she enjoys running around Tanyard Creek with her best friend Brunhilda. About: With a name like Brunhilda, what’s not to love? 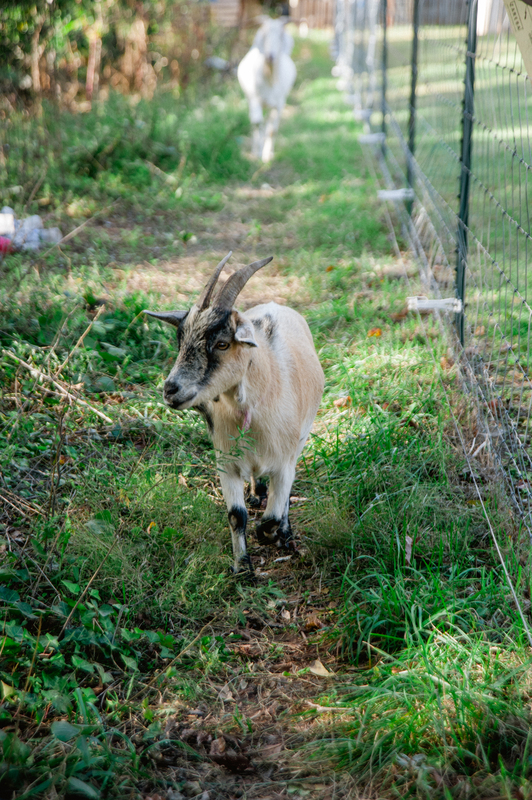 Being new to the Crew, Brunhilda has quickly made friends with the “Core Four” and joined the battle against the invasive species at Tanyard. About: Good ol’ Sylvester is a quiet one, but a lovable one as well. Just give her some food and she’ll let you pet her for hours and hours. Apples, carrots and some English Ivy will keep her content. About: As an inspiring singer, Wickett loves to practice singing. Her favorite song is a new rendition of Michael Jackson’s “Baaaa-d.” Looking for a duet partner? Wickett is your go-to gal!